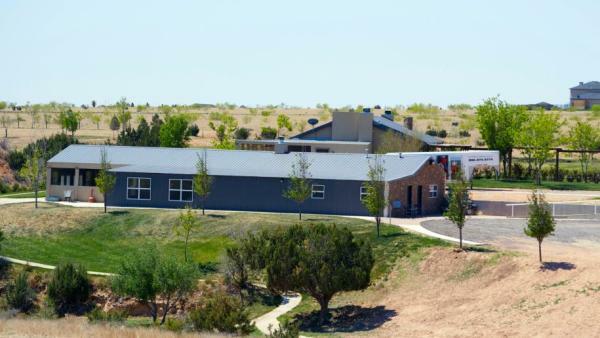 River Falls' new Event Center, built in the summer of 2014, is set in the heart of the Texas Panhandle, and with its ability to accomodate up to 350 guests indoors, makes it exceptional for weddings, events, or celebrations. This 8,000 plus square foot facility is heated and cooled and can seat over 350 inside (maybe more) and over 300 outside. 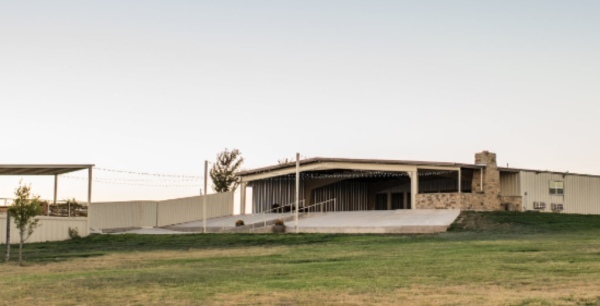 The main room features high ceilings with 6 large fans, and the food preparation area is ideal for caterers and florists with a tri- compartment sink, preparation tables, storage shelves, plenty of electrical outlets (20 amp), and a private entrance. Each large restroom is beautifully finished-out and each is conveniently located next to a dressing room. The women's restroom conveniently opens into the dressing room for private access for brides. 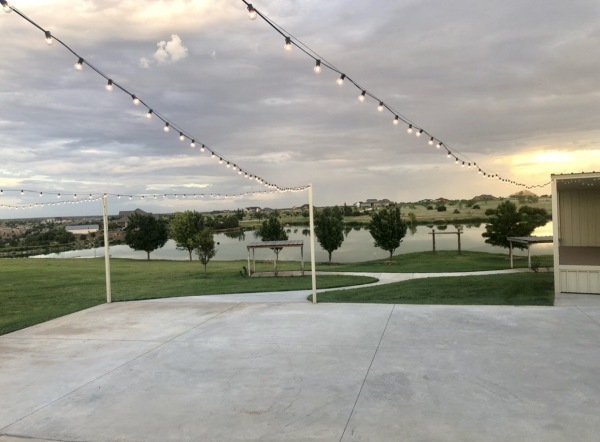 The giant patio at the Event Center overlooks a sandy beach leading to a five acre pond. 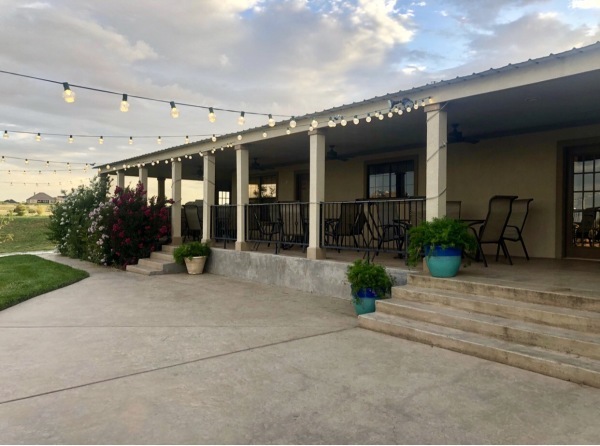 The patio is 3,000 square feet, half covered, and adorned with cafe lights and a beautiful stone fireplace with stone seating caps. Of course, there is plenty of parking! You must see to fully appreciate! The Dance Hall sits beside our Main Lodge and allows for a unique outdoor setup. Up to one hundred guests can be seated indoors. 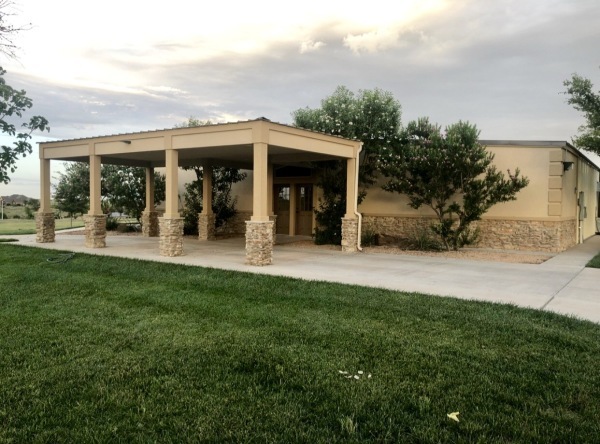 The building has two large rooms for enteraining and dining, a fireplace, spacious restrooms, and preparation areas for caterors and florists. 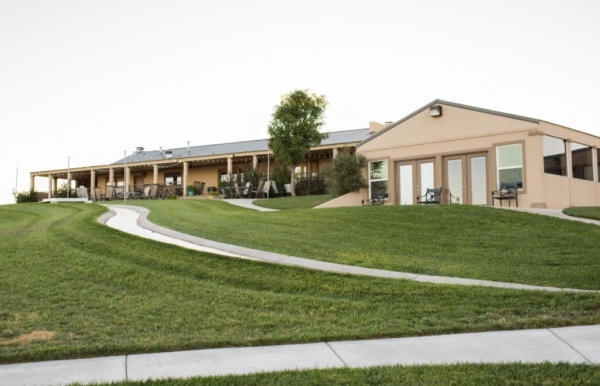 The patio of the Main Lodge and Dance Hall are both decorated with cafe lights and lovely potted plants and landscaping. 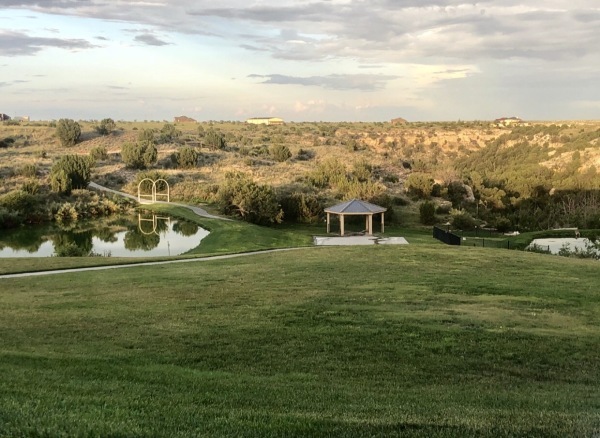 With a small stream running across the lawn, this area overlooks the pergola, a small pond, and a glimse of the Palo Duro Canyon.